If you work a regular 9 to 5 job, chances are good that you’re always counting down ‘til Friday. Because even if you like your job, there are bound to be a few things that drive you crazy. Your boss never seems to be working, a co-worker smacks her gum and listens to Michael Bolton at her desk and the main office printer has you re-enacting scenes from Office Space in your head. Regardless of the situation, you are ready for the weekend. If you’re like me, you not only want to get away from work but you want a complete change of scenery. That could mean taking the kids camping, visiting family members out of state or even checking into a hotel for a "staycation". Unfortunately, getting out of Dodge requires much more than an alibi and a suitcase. You need a car, my friend, and not just any car. You need an automobile big enough to haul your boyfriend, your kids and all your stuff – that’s also classy enough to meet your high standards. Let’s face it. Where you’re going is nobody’s business. Fortunately, a ride with tinted windows can help you keep your weekend plans on the DL. 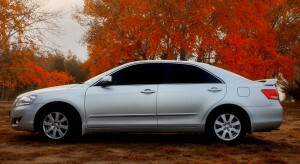 When shopping for the perfect car, look for a car with tinted windows so you can keep things discreet. Trust me, you don’t want a car that’s been worn down by other people's weekend getaways. Instead, you want a ride that has been treated gently and with utmost respect. 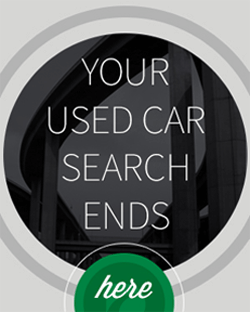 Look for a car with low(er) mileage, and it will likely have many good years left. 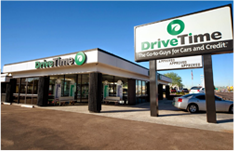 Even newer, higher mileage cars can be great so as long as they have been cared for properly. Assume the average car is driven 12,000 to 15,000 miles per year that it's on the road. 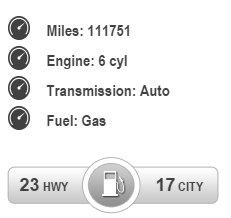 For example: looking at 2005 model year vehicle? It should have somewhere in the ballpark of 108,000 to 135,000 miles on the odometer. In a perfect world, cars would be free. Unfortunately, this world is not perfect, so cars are not exactly free. When choosing the perfect vehicle, shop around until you find something that meets your vehicular needs and fits into your monthly budget. More money in your pocket = more road trips. A car that constantly needs a fill-up can get on your nerves fast and cost a pretty penny. To save money and your sanity, look for a car that gets great gas mileage. Anything over 30 mpg on the highway is preferred and if you get less than that, check out these tips to squeeze out every MPG out of your ride. Storage space is crucial when you are a weekend warrior. At the very least, you need a car with a trunk big enough to haul a cooler and a few suitcases or maybe some sports or camping gear. 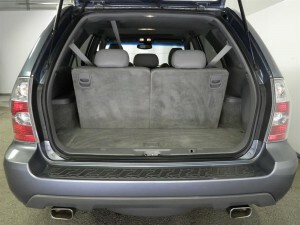 If you're looking at purchasing a SUV, check to see if the 2nd or 3rd row folds down flat to make extra room, if needed. After a week of hard work, you deserve to be a weekend warrior. You deserve to get out of town with your babies, your boo or whomever. Go somewhere. Go anywhere. Enjoy your precious days off. That’s why I’m rooting for you to get a new-to-you car that will work for any weekend activity of your choosing. Whether it’s a weekend at a theme park, a hiking trip in the woods or a weekend at the club you won’t remember, you deserve it.